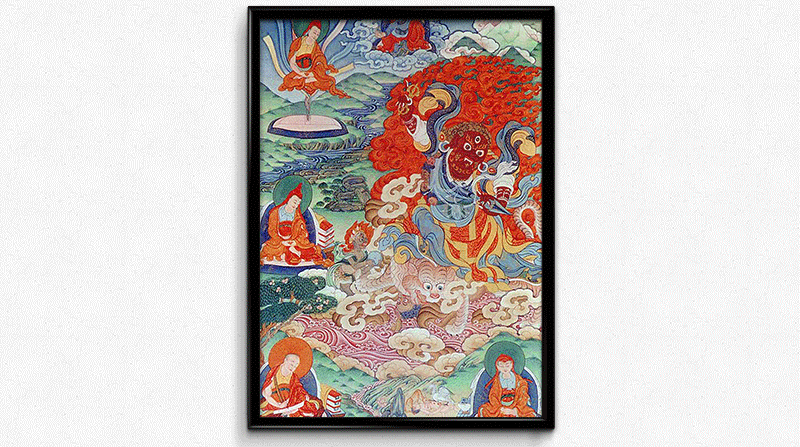 Dorje Drollo is the wrathful emanation of Guru Rinpoche from the set of Eight Main Manifestations. For the purpose of subduing the demons and spirits of Tibet and the surrounding Himalayan regions, Padmasambhava appeared as the wrathful Droje Drollo at the thirteen mountain retreats known as the Tiger's Den. The Eight Manifestations belong to the tradition of the Revealed Treasures.